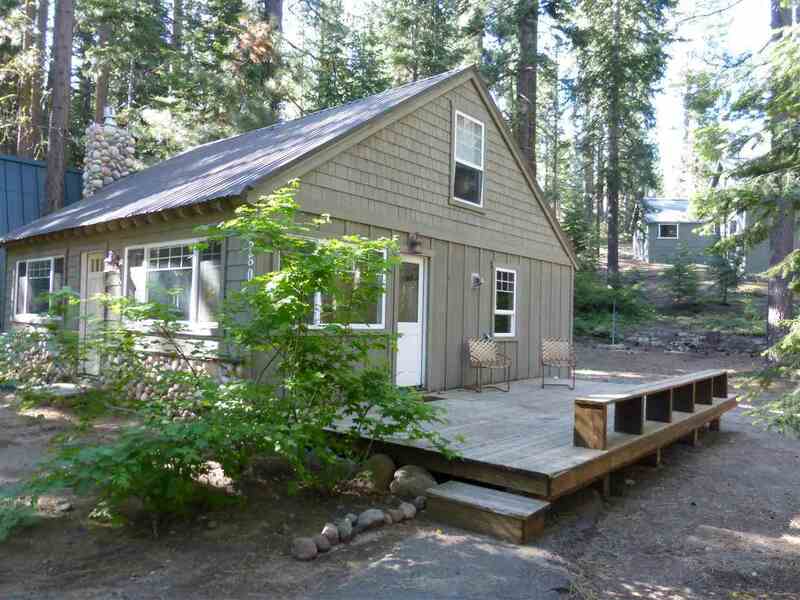 Cute mountain cabin just a few blocks to the lake and Tahoe Pines HOA pier, plus only one mile to Homewood Mountain Resort. Brick fireplace with gas insert. Two bedrooms downstairs (one has a stack w/d), hall bathroom and living area Upstairs is a larger bedroom with bathroom (shower only), but please be careful - the stairs are steep. Thermal pane windows, large side deck, sunny backyard, level access and seller has a Topo Map. Great hiking or cross country skiing at the end of Grand into Blackwood.